Flow Cells are a required accessory for parameters like Chlorine and an excellent option when it is desireable to have a continuous, controlled sample flow past your electrode. The ASI Flow Cell Assemblies are available at the component level so you can customize the set-up you need for your application. For the RC67 or RC66 Chlorine Electrodes we have both a 1" compression fit flow cell and a 1/2" NPT flow cell. The 1/2" NPT version can also be used for our 54-Series pH or any of our 12mm electrodes when used with our MD0027 Adapters. 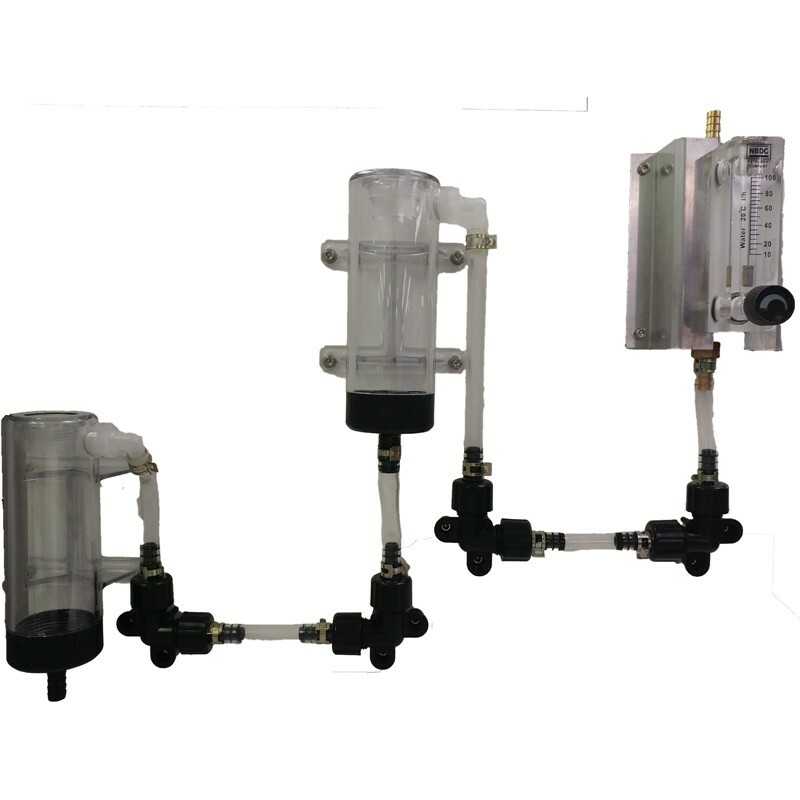 The flow cell also has tubing, elbow joints, flow regulator, and a backing board as available options. Tubing, elbow joints, flow regulator, and a backing board are available accessories.